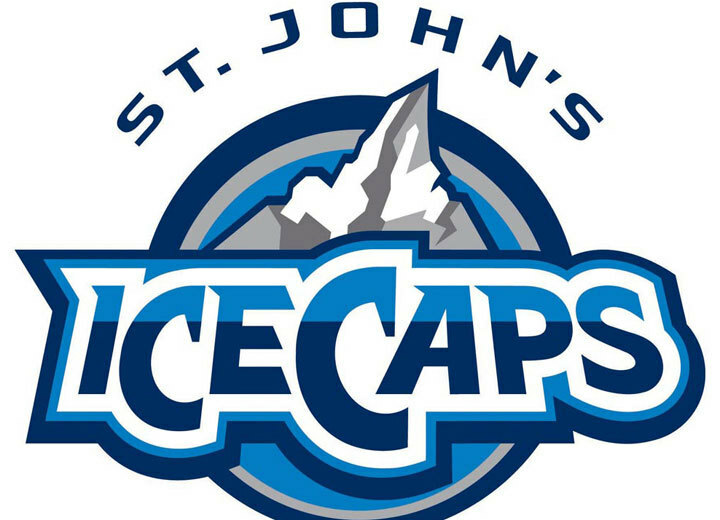 ST. JOHN'S – Danny Williams, President and Chief Executive Officer, today announced that the new AHL franchise in Newfoundland and Labrador will be called the St. John's IceCaps. Williams was joined by Glenn Stanford, AHL Governor and Chief Operating Officer of the team, at Mile One Centre, where they also unveiled the team logo. “I am so pleased to present the St. John's IceCaps and our new logo to fans, as we begin a new era of professional hockey in the province," said Mr. Williams. “The IceCaps is a name that I am confident hockey fans will support as it captures both our rich hockey history with a reference to the Caps, while at the same time capturing a natural element that is iconic for the province, ice. We wanted to ensure that, although the team is based in our capital city, the province as a whole can identify with it and embrace it as their own." The logo consists of IceCaps over rugged mountains. The mountains are capped with ice that is an illustrative map of Newfoundland and Labrador. The colours are reflective of those used in the logo of the parent team, the Winnipeg Jets. Known for its tough but resilient northern climate, Newfoundland and Labrador has strong ties to ice in many forms. From the iconic majestic iceberg, which attracts hundreds of thousands of tourists a year, to ocean exploration and ice capped landscapes, the association of the word to a sport that is played on an ice surface was a natural fit in naming the team. 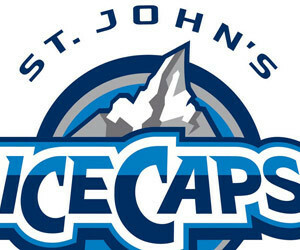 “Caps" not only perfectly complements the name in the literal translation of an icecap, it is also pays tribute to the St. John's Caps, a Newfoundland Amateur Hockey Association team which played in the former provincial senior hockey league. “The beauty of the ice-capped mountains, the outline of Newfoundland and Labrador displayed prominently and the jagged look of the mountains themselves are all indicative of the robust nature of our province," said Mr. Stanford. “We also expect it to be a staple of our team; hard-working, tough and rock solid." Williams said it was important to him to ensure the province was represented well in the new name and logo, as it will be a marketing tool for Newfoundland and Labrador in 29 other cities throughout the league. “From Houston to Abbotsford, B.C. to Chicago and Milwaukee, this name and image will market not just our team, but also our province," added Mr. Williams. “In every aspect of my life from business to politics to hockey, I have always made every effort to promote this incredible province to the world, as a unique and attractive place. In this name and with this logo, we have captured the essence of what it is to be a province in the middle of the North Atlantic. We have built on our strengths and our natural assets, and created a team name that will once again put this province on the map." Stanford said with 20 years experience in the AHL, he is excited to introduce to name and logo to the league where brand is so important. “It is critical to have a name and logo that fans at home can embrace and fans on the road will remember," said Mr. Stanford. “This name and logo does both. The St. John's IceCaps will be a memorable and easily identifiable team in the league, and I am excited to start promoting it both here at home and abroad." Following the announcement, a number of young hockey fans paraded through Mile One sporting the new logo. Merchandise can be purchased starting immediately at the following retail locations throughout the city: That Pro Look, Maverick Sports and Collectibles, Play-it-Again Sports and Sportscraft. Mr. Williams also announced that the team's home opener will be played on October 14th at Mile One Centre. The opposing team has yet to be named. The St. John's IceCaps are the newest team in the American Hockey League, and bring pro hockey back to St. John's after a six-year hiatus. St. John's is the farm team of the Winnipeg Jets. The team name, IceCaps, is a clever combination of the history we are so proud of and the climate and landscape for which we are so well known. The name is nostalgic of the St. John's Caps, the local NAHA senior hockey team, circa 1960. The Caps, of course, is short for Capitals, St. John's being the capital city of Newfoundland and Labrador. Newfoundland and Labrador is known for many things – our culture, charm, humour, character, strength of self, determination in the face of adversity, and so on. And one of our main icons from a tourism perspective has always been the majestic iceberg. For years, the iceberg has been a major component of our tourism marketing. The prospect of seeing an iceberg up close and personal is something that has attracted people here from all over the world. In fact, this year is said to be one of the best iceberg seasons in a long time. In addition to being a tourism icon, our entrepreneurial people have turned our icebergs into lucrative businesses, creating a breadth of products from our icebergs. In more recent times, the province has also established itself as a world leader in ocean technology. From the Marine Institute to C-CORE and other organizations, the province has become international experts in ocean research and development, exploration, ice patrol and monitoring, innovative technology, etc. The concept of incorporating the province's natural assets and rich history into the new name of the team, was key in the decision making process. The logo features a jagged mountain or rock with the geographic shape of Newfoundland and Labrador on its surface like snow or ice. This province is beloved for its rugged landscape, geology, and snow-capped mountains in our northern regions. The map of Newfoundland and Labrador was purposely incorporated in the logo to declare this a hockey team for the entire province, not just the city of St. John's. The colours in the logo represent the coldness of ice, as well as our ocean culture. In fact, when you look at the word IceCaps, you can see the line where the ocean meets the sky. The colours also stay true to those of our parent NHL team, the Winnipeg Jets. The mountain graphic and the IceCaps font are purposely jagged and edgy: rugged like our land, strong like our people, and fierce like our hunger for hockey.